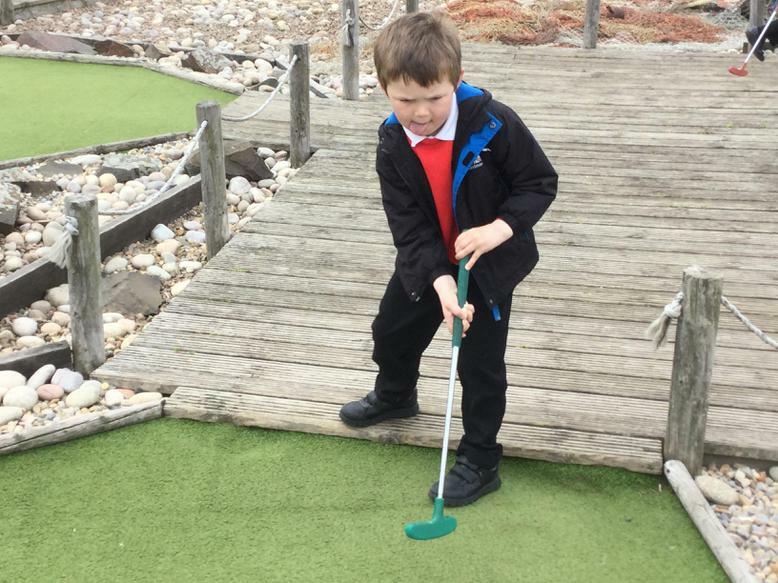 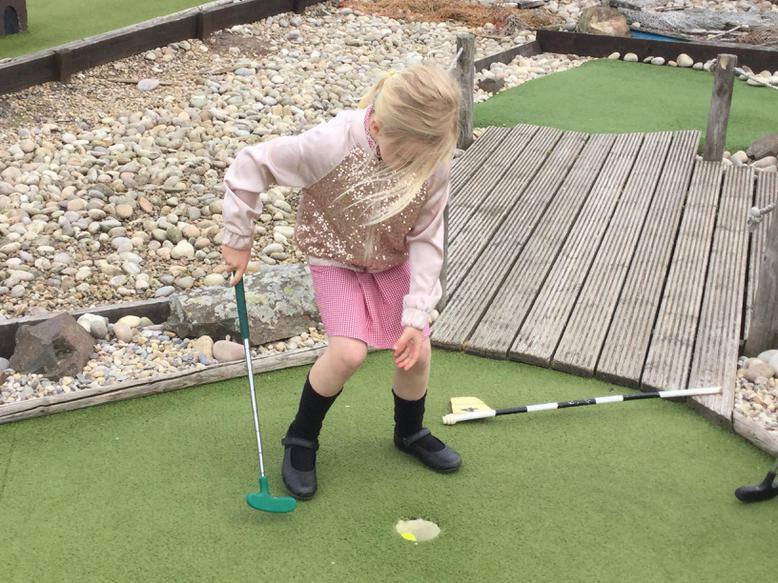 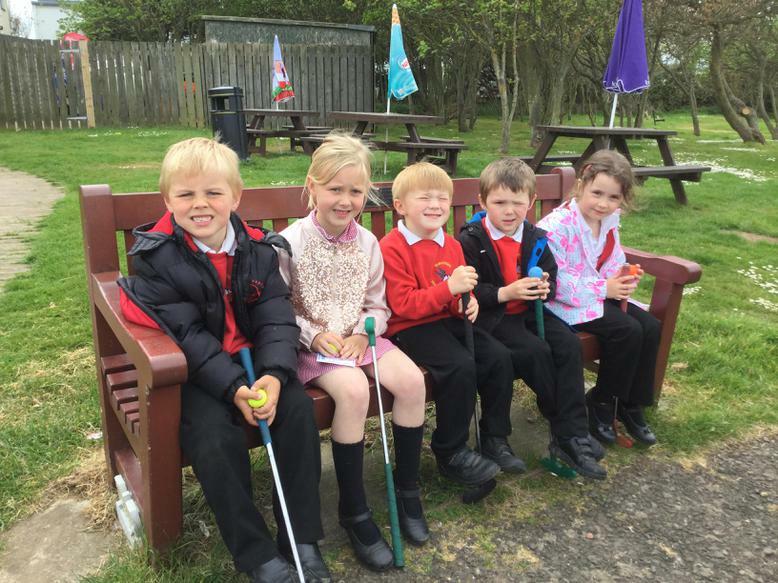 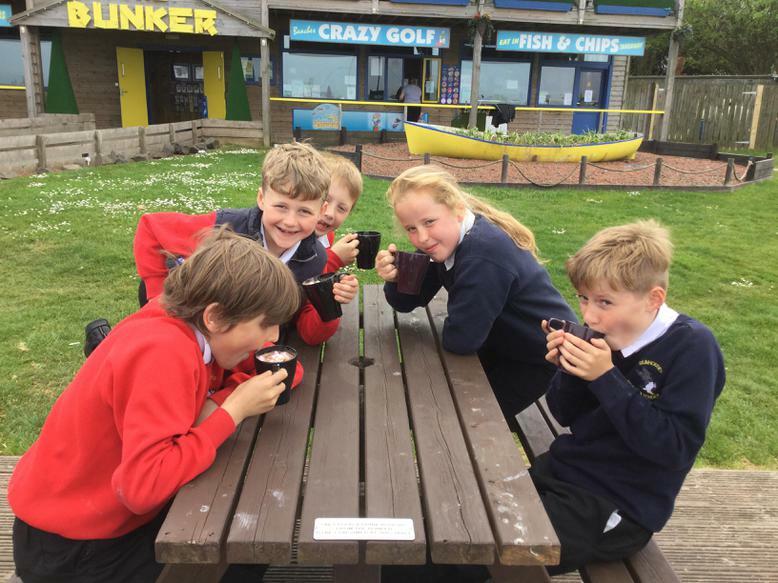 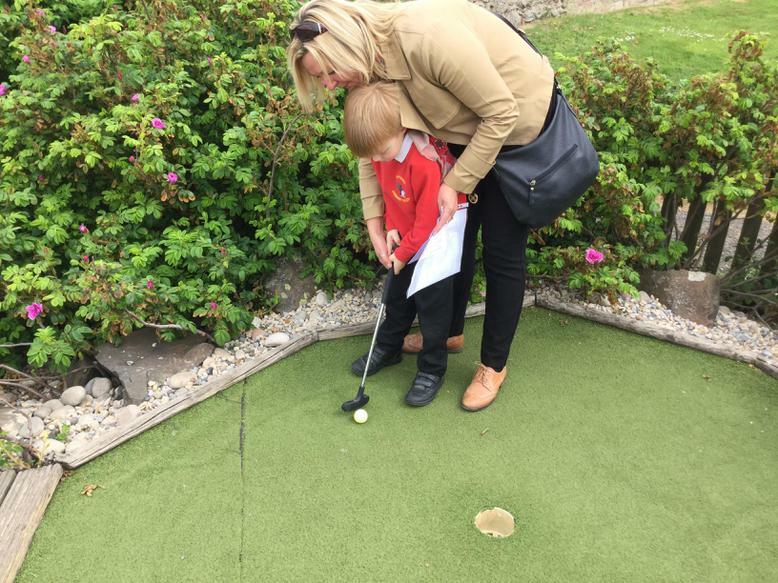 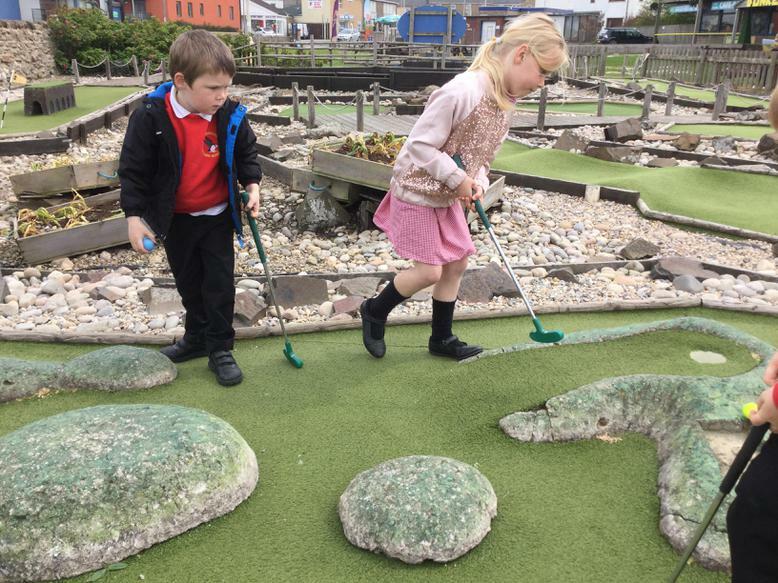 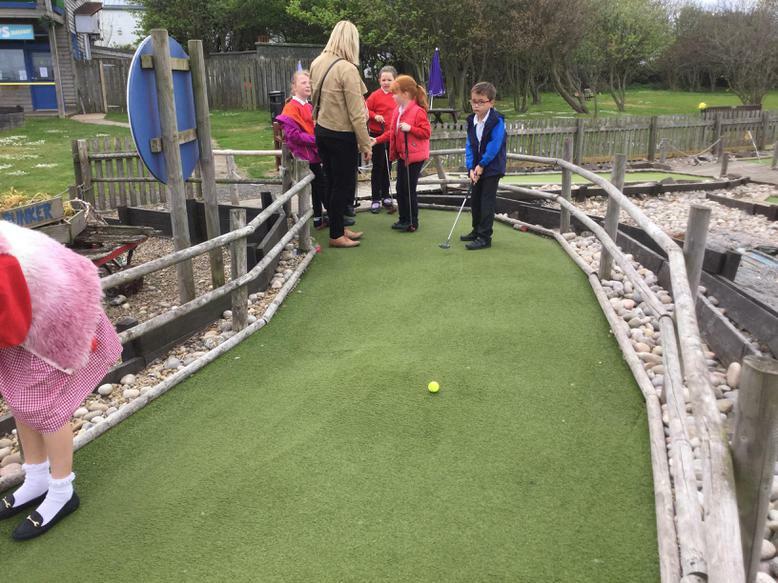 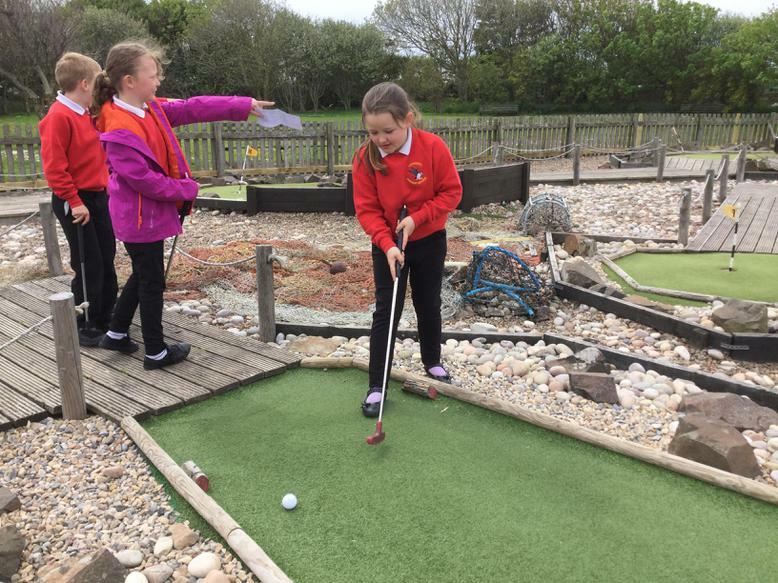 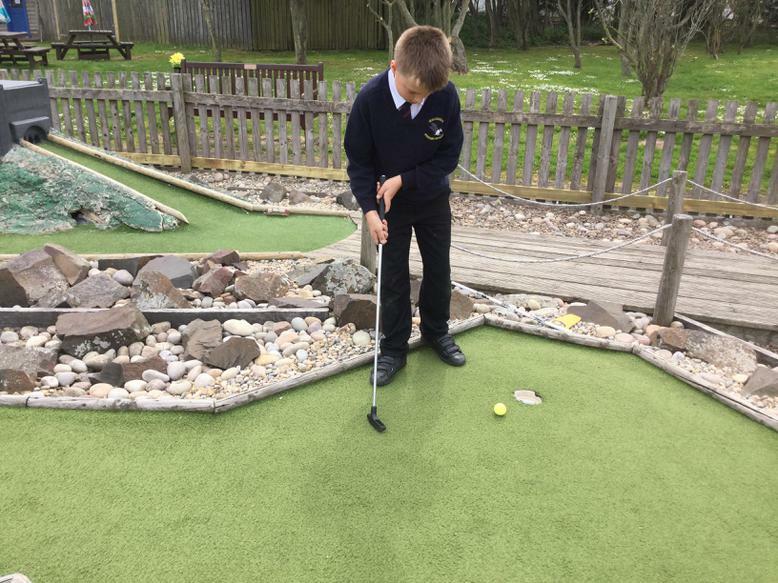 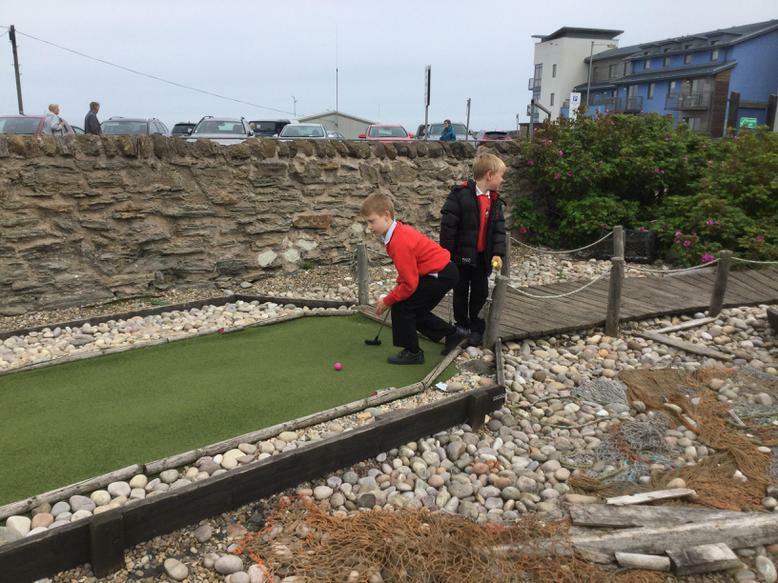 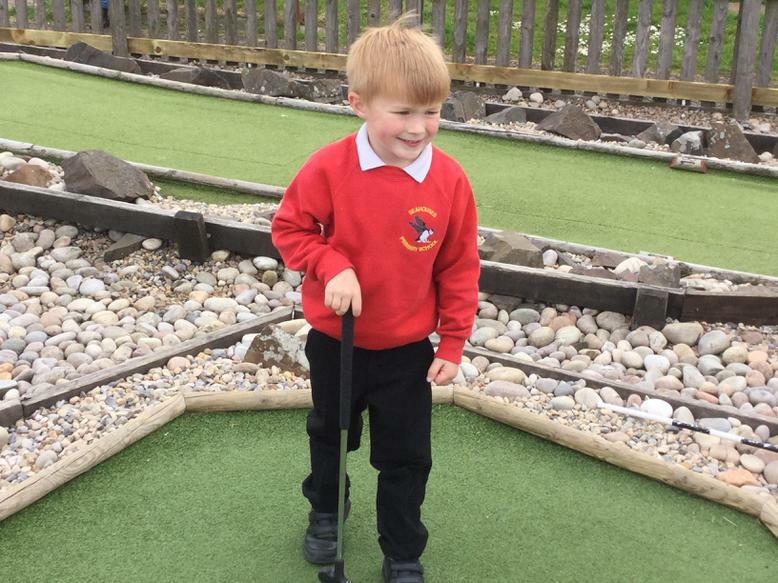 We had a lovely afternoon out with our 100% attendance achievers today we played crazy golf at the Bunker and we drank hot chocolate with marshmallows. 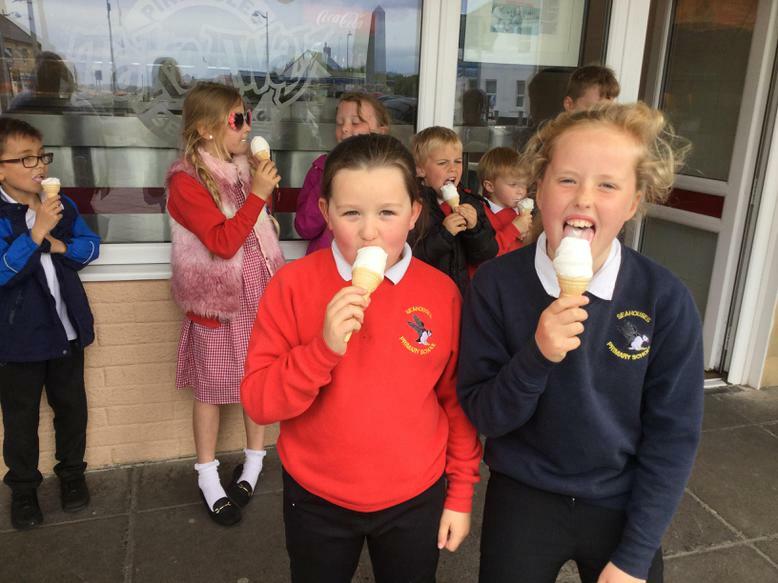 This was followed by ice cream at Pinnacles. 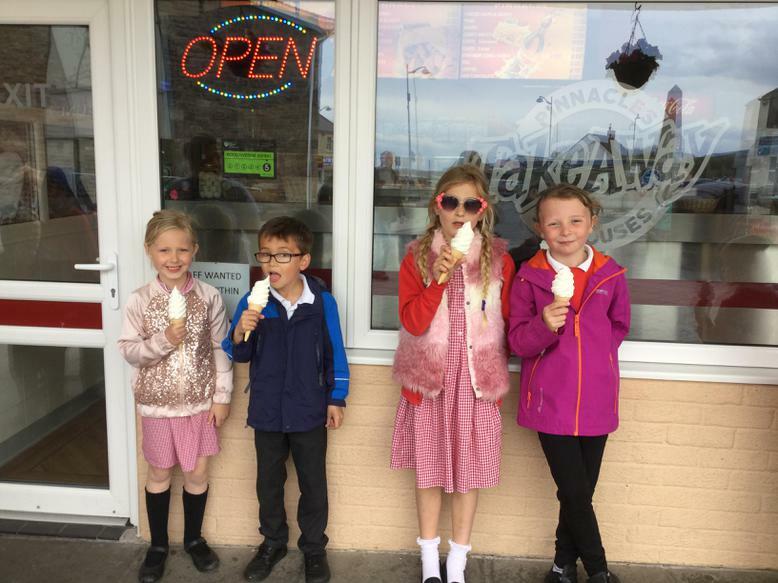 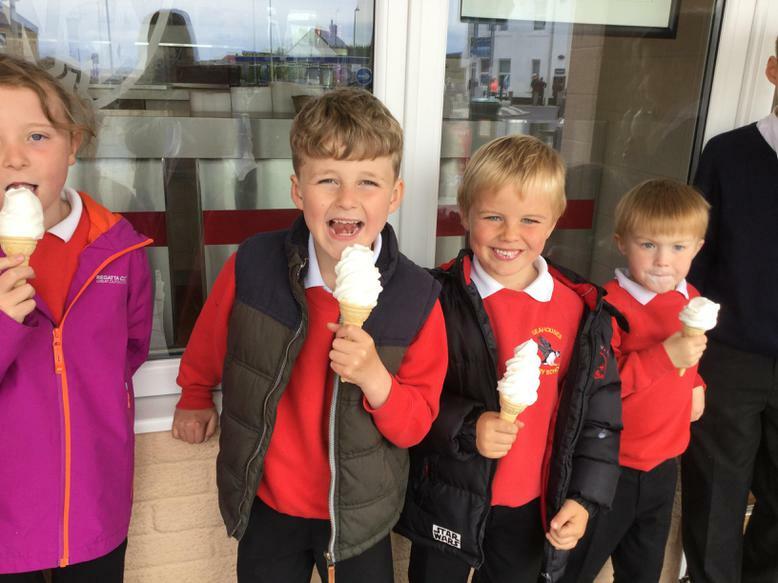 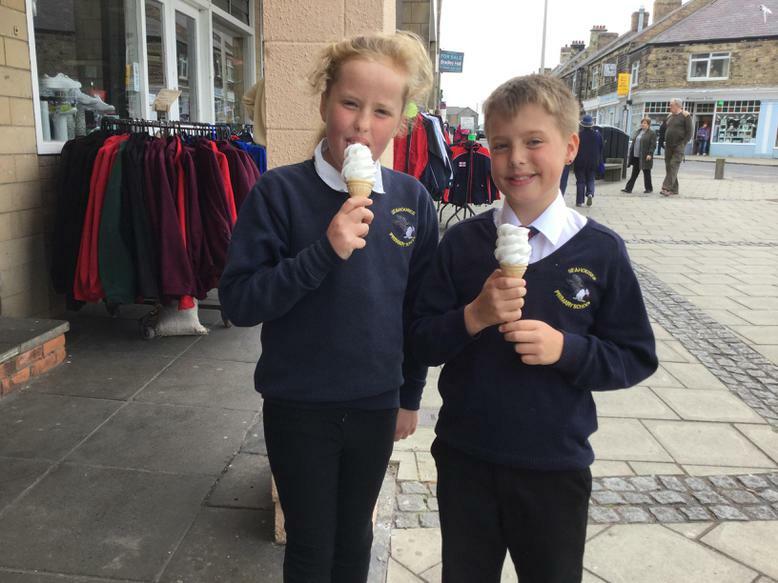 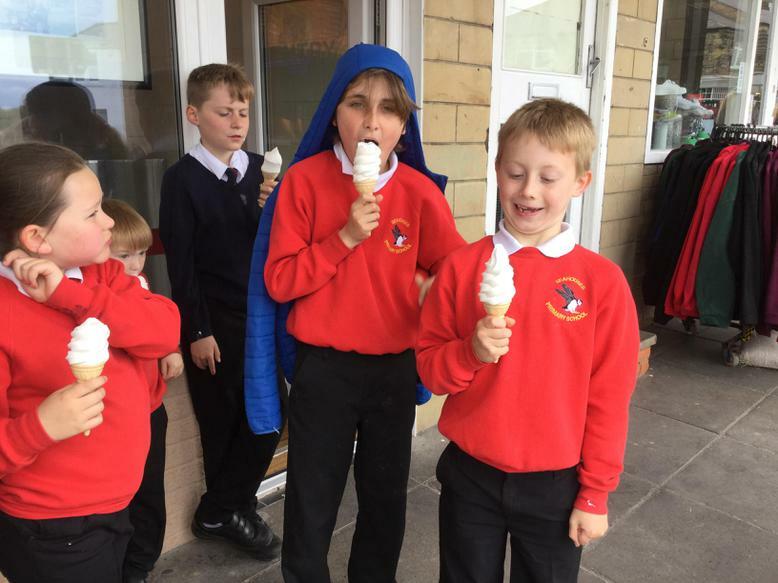 Some of our ice creams were bigger than the heads of our younger children! 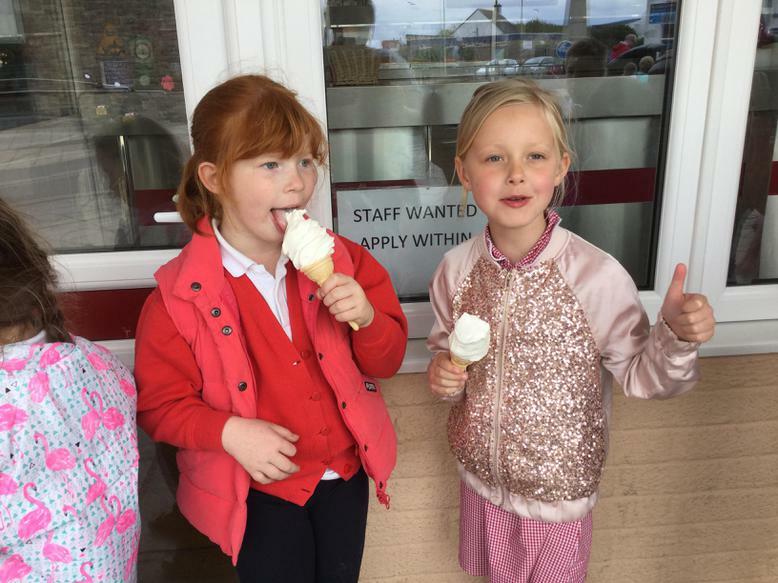 Gracie in Y1 made connections to her kenning poem and said she was an 'ice cream licker'. 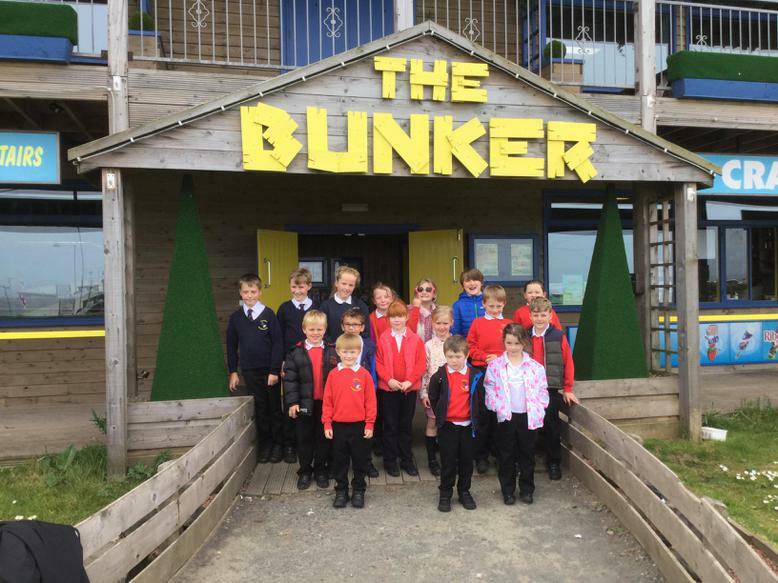 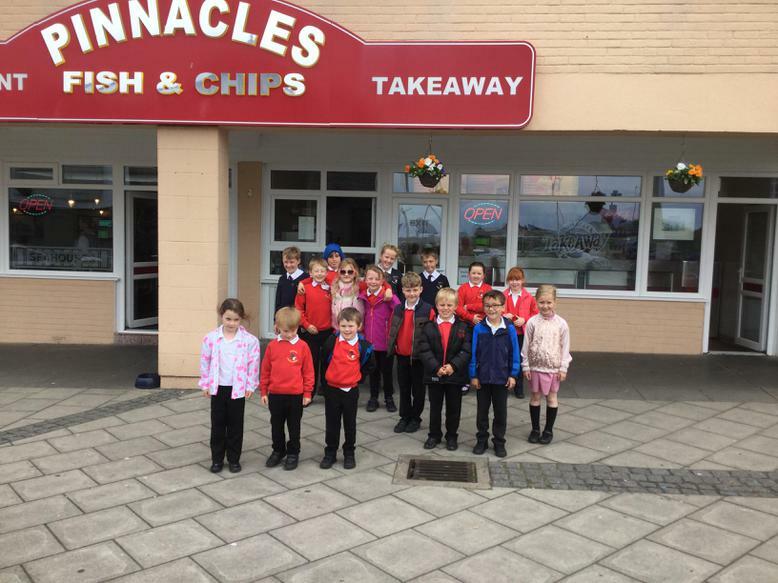 We would like to say a big thank you to the Bunker and Mr Keenan for their generosity. 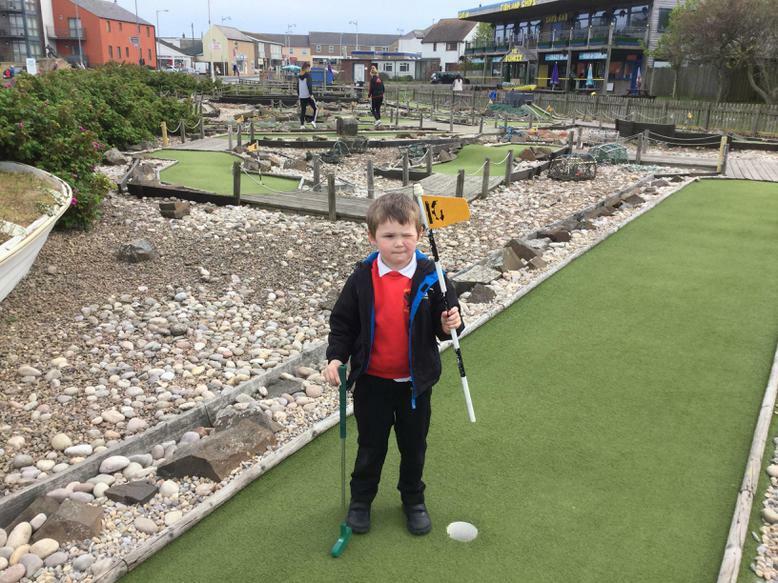 We would also like to say a big thank you to George in reception for taking on the responsibility of putting all of the flags back in their holes. 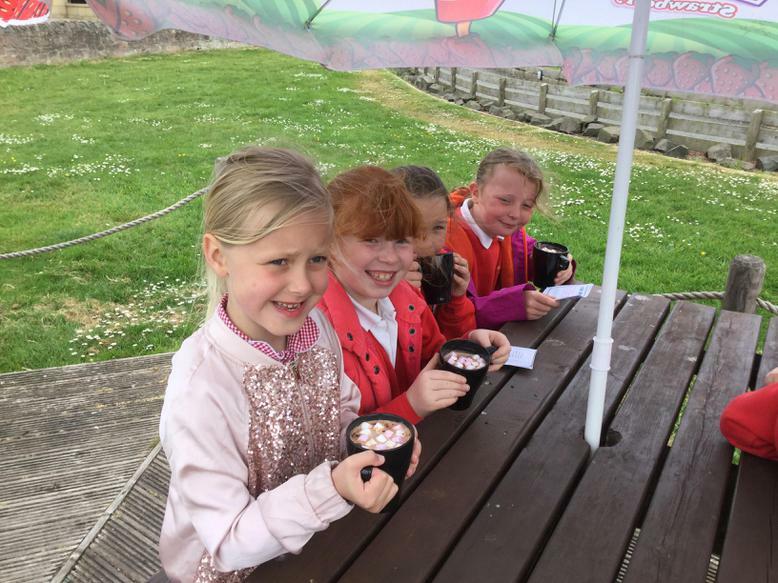 Take a look at the fun we had!